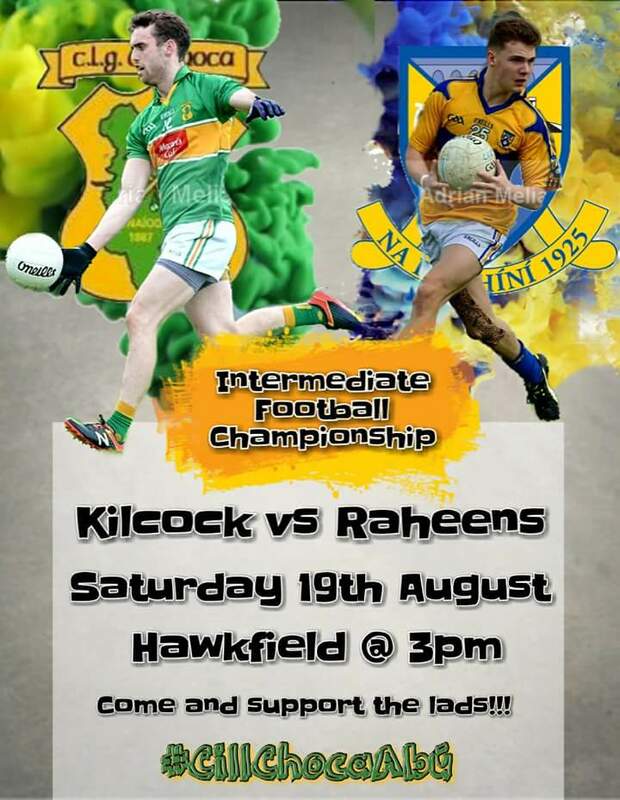 The Intermediate footballers of Kilcock take on Raheens today in what promises to be one of the ties of the round in the Kildare IFC in Hawkfield at 3pm. The two sides last met in championship action last year with Raheens running out convincing winners. Kilcock were hampered early on that day however with two key players forced off through injury but in truth they were never really in contention against a far superior Raheens. The men in green and gold will be hoping for a better performance this time around. Both sides had contrasting league campaigns this year. Raheens competed in an extremely tough Division One and managed to hold their own, finishing 9th which was an achievement in itself considering the teams in the teams in the division. Kilcock for their part just managed to avoid relegation from Division Two on the final day in what was also a very competitive league. Declan Gibbons will be happy at how his league campaign went considering the amount of players he was down due to traveling in America. He has managed to blood new players into the team and now he has a full squad at his disposal. Kilcock go into the game as huge underdogs but will be quietly confident within the camp of catching Raheens on the hop. It promises to be one of the ties of the round and though my local loyalties lie with Kilcock, my head says Raheens will have too much for Gibbons’ youthful side for the 2nd year running. Raheens by 4 or 5.